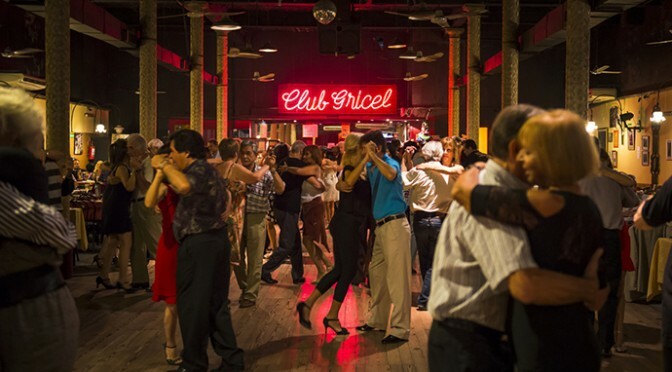 If you start going deep into Buenos Aires City, exploring its streets and less trodden sidewalks you’ll find Milonga alive and kicking. Join us, experience and live a Milonga Tour in Buenos Aires. Its origins are shared between Argentina and Uruguay in the Río de la Plata area, some other historians believe it was also originated in Rio Grande do Sul area in Brazil. It was very popular in the 1870s. and nowadays travelers come to Buenos Aires in search of places to watch locals performing this great dancing style. There are only a few Milongas that keep the essence of the dances of the 30’s and 40’s, which is considered the Belle Époque of the Milongas, in which the respect for the codes and ceremonies, the elegance in the way of walking around the dance floor or how to invite a lady to dance, remain unchanged, where the best “milongueros” dancers of the world shine. Those are the ones we’ll be heading for. Everything starts in the evening, away from touristic sites. We’ll pick you up at your hotel to start the tour. During the transfer you will be able to watch the “Porteños” walking on the sidewalks of the neighborhoods, where the Milongas are located, going to the grocery stores”, coming back from work and living their daily lives. On this Milonga Tour which lasts two and a half hours we’ll be visiting two milongas, share some time with dancers, learning about the dance and the music, being part of the mystic of the place, mostly created by the dancer who shows up every night. An experienced Tour Guide will fill us with some light-hearted updates such as stories about famous Tangueros who were regulars in such places or lived in these neighborhoods and of course will explain us all secrets about the dance and the codes used by the Tango Dancers along the night. We invite you to join us. Come with us and take a piece of Buenos Aires back home. Gather stories, and live the experience that only a few dare to. Contact your Kallpa Account Executive whose experience in the field will make your journey memorable. Thank you for reading, milonguing and travelling with us. The extras at each Salon(Ballroom) is not included. The act of traveling through Patagonian lakes and rivers enlightened our experience adding great value to our trip. While staying in El Chalten, away from traditional trekking trails, looking for something different to explore we decided to try the Las Vueltas River Kayak Experience. The Las Vueltas River (Río de las Vueltas), a.k.a. Gatica river, belongs to the Basin of the Santa Cruz river. A large portion of its waters has glacial origins and receives the tributaries, which are fed with water from snow drifts coming from the extreme North of Los Glaciares National Park. Headwaters in Lake Desert (Lago del Desierto) and as the name implies it flows into Lake Viedma meandering through lush beech forests and vertical walls. The way to the starting point of the tour it’s a highlight in itself. With Mount Fitz Roy behind us, walking past the side of the famous Chorrillo del Salto waterfall and bordering Rio de las Vueltas. After 21 kilometers we reach our destination. Upon arrival, we´ll be welcome with coffee or tea, you can choose the one you like best, be briefed about our activity and test the required equipment suited to the activity we’ll be doing.. The equipment and the safety elements are provided locally: the suit, the boots, a pair of neoprene gloves,a life- vest and a helmet. As soon as we’re ready we´ll start descending and rowing through the river in our 20 Km. trip across the river. A few minutes later we´ll find ourselves paddle practicing on Condor Lagoon. We continue our trip getting back to Las Vueltas River, enjoying the ride, and if we have good weather we´ll get magnificent views of Mount Fitz Roy on our front. Luckily our guide knows how to pick a great viewpoint to stop for lunch, have small talk and rest by the river. It’s necessary to do the activity if you are in great physical condition. No rowing experience is required, but some parts can be demanding and the trip is long. So make sure your travellers know this before the experience. Eventually we arrive in El Chalten at Inn Hostería El Puma where we´ll be able to leave the equipment and put on our own dry clothes. 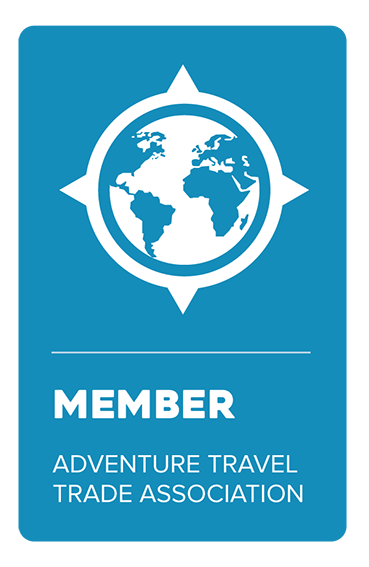 Contact your Kallpa Account Executive and get more information about this and other experiences, they are full of great ideas and tips to enlighten your travelers´ trip and get the most of their experience in Argentina. Minimum age: 14 years old and they must be accompanied by a parent. 09:00 am. Transfer from El Chaltén to Fitz Roy Adventure Camp, 21 km. 11:00 am. Beginning of the descent through Río de Las Vueltas. A few minutes away, paddle practices on Condor Lagoon. Continue of descent. Between 12:30 and 1:00 pm. Box Lunch on designated viewpoint selected by the tour guide. 2:00 pm. Arrival to El Chaltén. 2:15 pm. Transfer to Inn Hostería El Puma. Here the travelers can take off the suits and put on their clothes. 3:00 pm. End of services. Full neoprene-suit, gloves and boots. Snacks, tea, coffee and lunch according to program. Radio contact with El Chalten. For us the idea of visiting a destination without experiences take us away from the real sense of travelling. One of those experiences is about getting to know Buenos Aires and its many attractions just like a real “porteño”, that’s why we have decided to put together a Tour in Buenos Aires like a local. We meet with our Tour Guide at 1400 Alicia Moreau de Justo Street in Puerto Madero to fetch our bicycles to start riding towards Palermo that will be the Drop-off point. All through the ride we will be able to see some of the loveliest monuments in Buenos Aires such as The Nereids Fountain, the Monument to Tango, Fangio´s Monument(a worldwide famous Formula 1 racing car driver and 5 times world champion). 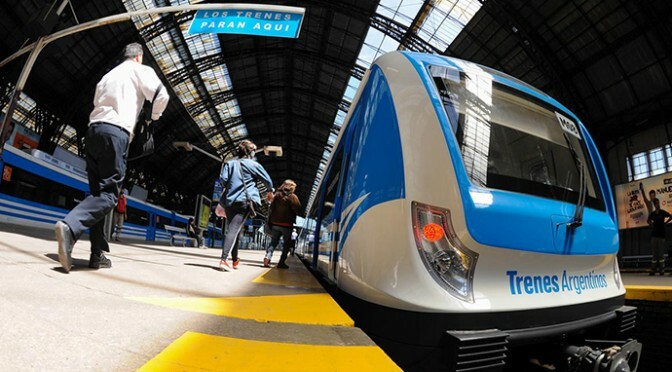 We’ll also visit the Bridge of Women and Sarmiento Frigate and then ride along Libertador Avenue that runs from Retiro Neighbourhood all the way into the Northern districts of Buenos Aires Province. Along this Avenue we´ll visit the Embassies District and see the Floralis Generica, France Square, and many other attractions that are part of this ride until we reach Sarmiento Avenue where we drop our bicycles off and keep on going by Bus and Train. We walk Sarmiento Avenue for five blocks towards Figueroa Alcorta Avenue where we’ll take the Bus(called “bondi” by porteños)and ride towards the train station, and after waiting for a few minutes get on the train to go to Tigre City. We ride on the train for about 45 minutes till we get to Tigre train station. We go for a walk around the city and then we make a stop to have lunch,one of the most waited for moments of the journey. As a local saying goes “ If the stomach is full our heart feels happy” we go for a walk heading to Coast Train Station (Tren de la Costa) which we’ll get on to go back to Downtown Buenos Aires. On the way back mansions and riversides will be watched until we aproach to Maipu Station where we’ll get on a bus to end our outing experience. Optional to this tour we recommend the return trip catching a Catamaran and sail all the way back to Puerto Madero. On the Catamaran you’ll have gorgeous skylines of a Buenos Aires the vasts shores and as soon as we aproach to downtown you’ll see Puerto Madero with its lit up buildings seen from De La Plata River and get one of the most beautiful postcards of this cosmopolitan city. 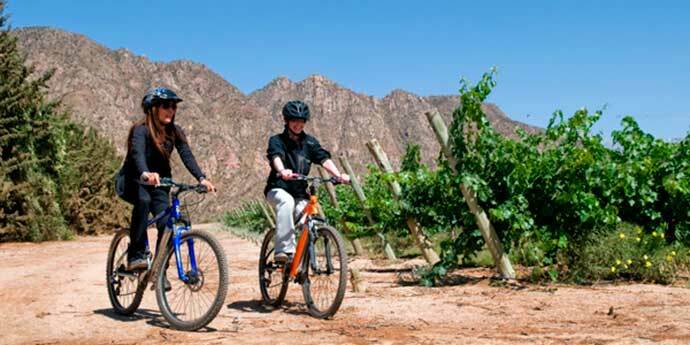 This is an ideal trip for outdoorsy people that can be taken with a minimum of two people and a maximum of 6 guests. We share this experience with you and you share your enthusiasm to live it with us. Come on, let’s spend a different day in Buenos Aires. Get in touch with your Kallpa´s Account Executive and give your guests the chance of enjoying these and many more experiences. 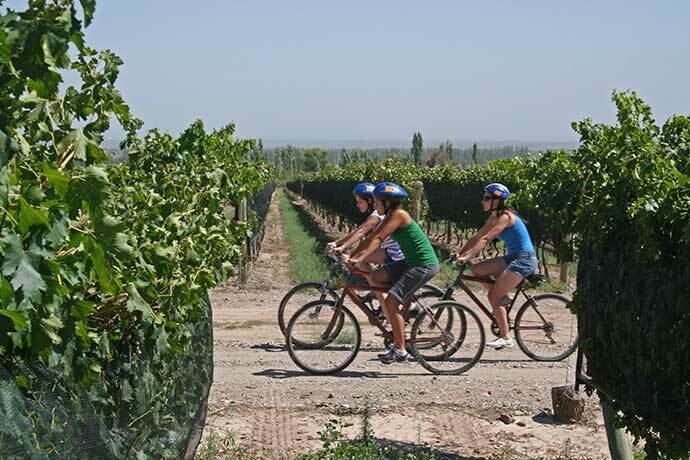 Thank you for “biking, trenning, bussing and catamaraning” with us. The train and bus tickets. A bottle of mineral water per person. The ride on the catamaran from Tigre to Puerto Madero is not included and must be quoted separately.